A mix of oats, sultanas, raisins, sweet banana, apple and three seeds. The hills are alive… with our Classic Apple Bircher. 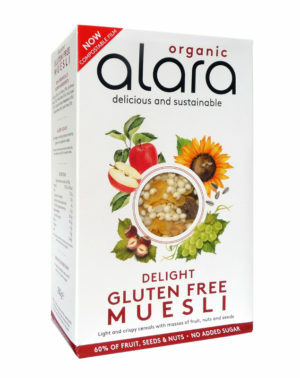 Our recipe is adapted from the original recipe by Dr Bircher-Benner, a Swiss doctor and nutritionist. 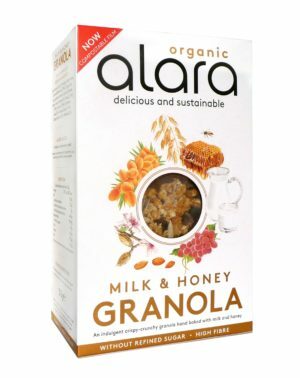 We’ve combined a selection of the purest organic ingredients to create a nutritionally balanced recipe and a luxurious breakfast or anytime treat. The delightful mix has everything needed to make it just perfect: wholegrain oat flakes, juicy raisins, a mixture of wholesome seeds, fruity lucuma, apple and banana. 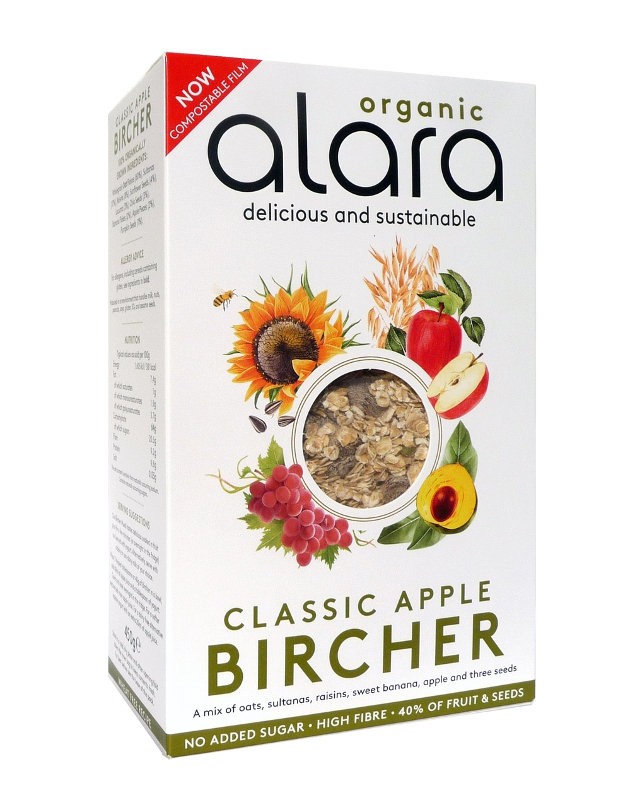 Our Classic Apple Bircher is sweetened only with natural fruit and has no added sugar or salt. Delicious, nutritious and sustainable – enough to make you break into song on a mountainside meadow. 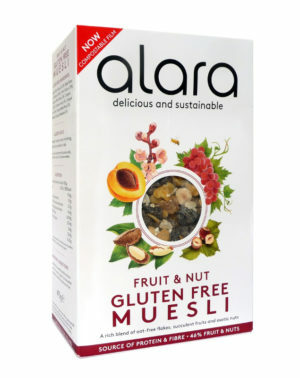 Our Bircher Muesli tastes delicious soaked in fruit juice for a few minutes (or overnight in the fridge) and served with yogurt. 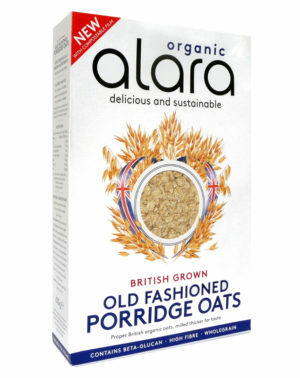 Alternatively, serve with a dairy or non-dairy milk of your choice.